As a parent, you might be open to letting your child explore alternative careers, but there are so many options – how do you know, which is the right one? As a parent, I have faced this dilemma. My child wants to try every available performing arts or sports but if she plans to take it up as a career, I need to help her find her focus. With similar thoughts in mind, Sejal Ray started Virtuosokidz .Sejal is a computer engineer and has a BA in Bharatnatyam. She has performed and won prizes at many competitions in district and state level. Let’s talk to her today and understand more about Virtuosokidz. Virtuoso Kidz has been started with a view to bridge the yawning gap between parents and their kids by having tie up with like-minded people and later starting a separate blog on WordPress. This has been done with a two-fold view of connecting the two groups and also allowing both students and parents to shed their inhibitions on so called “taboo”topics. An alarming number of students commit suicides in India due to exam related stress. This makes it imperative for parents to take cognizance of the situation and do what’s best for their kids. A major problem Indian parents suffer with is the “log kya kahenge” syndrome. At such times it becomes essential to pick up your child and accept that his talent has his copyright and it is EXCLUSIVE! If he is a naturalist, a writer, an engineer or a lawyer in the making the first step to good parenting is “Acceptance.” Far too many parents have unwittingly become the cause for their children to become failures due to their pushing them towards fields that were never their calling. How and when did you decide to come up with virtuosokidz? I got to know about this programs through a magazine and I got my children to participate in those. I saw amazing results in academics. The concentration level went a level up! They started studying on their own. They started being more considerate towards others. This made me think – how would it be if this kind of difference can be made in children’s lives? Why not take this up and multiply the impact by making it available for more and more children? This in turn will have an impact on parent’s lives too! How is it different from other aptitude tests? Mid brain activation. This provides high level of concentration, memory, focus to kids as part of the programs. Besides this, my program provides weekly assignments that help to develop bonding between children and their parents, enabling them to share all that is important with their parents, overcome fears and gain inner strength. Psychometric test – The test provides the overall details of personality of a child based on the behavior, interests and attitude. My program also provides various modules of one to three months based on the inputs of the psychometric report. The modules offer actionable solutions. How will it help a child decide his future? A part of the report talks about the potential career opportunities for a child/individual based on the personality, interests, behavior of the child. This gives an insight into the probable areas that can be considered for the future of the child. What kind of research and study has gone into coming up with this site? I got my kids undergo this program. 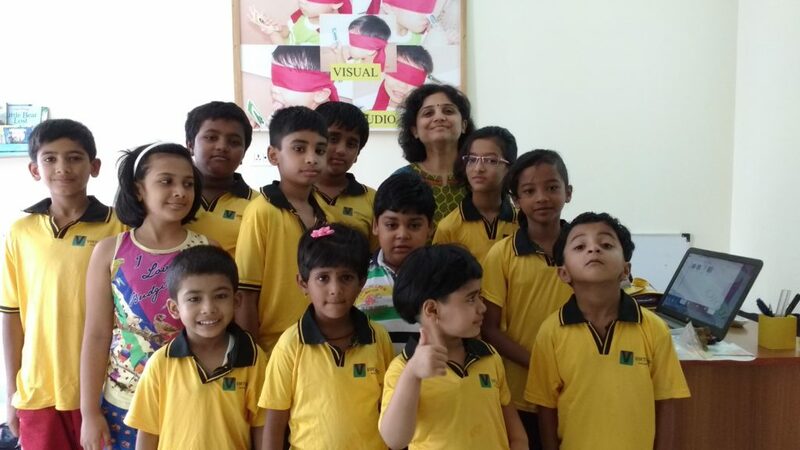 Then I got trained and started conducting classes and actually experienced the changes children go through during the mid-brain activation program and hence conducted 3-4 batches of this program. Similarly for finger print analysis and psychometric analysis, I actually got this done for 25-30 children and got feedback from parents which were amazing. I also contacted many such trainers who are involved with these programs to find their experiences. I did go through a lot of material on net to find out the views and opinions of larger set of people. This all supported me in coming up with my own website. I want to make this website a one stop solution for parents for anything linked with the mental health of the child. I plan to have information of many more programs on my website that is linked with happiness of children. I also wish to have counselors register on my website and have all kinds of counselors and psychologists on the website. I really could use this for my kids. They are good in studies but well don’t study on their own. Definitely looking dipper into it! Hi Zainab, Thanks for responding. Have you enrolled into any of these earlier? Where do you stay? This is interesting. I would like to know what is the ideal age to get the child take the psycometric test? Happy to know that you liked the article. This can be done for age 7+ and it is entirely online process. This includes the psychometric test+report+call with an expert to provide you inputs on the child’s report as per skill, interest, multiple intelligence and also potential career areas. This is great one Neha, I am sure this is different from the usual aptitude tests that kids have to go through, like our times. Thank you so much Shruti. Psychometric is an entirely online process and anyone on the globe can avail for the same. Seems like a good way to assess the capabilities of child and hone his/her skills in the right direction. Yes – you are right. It makes a huge difference when the child takes up a career in an area where her skill and interests are as well as have potential. At an early age, it is difficult to find out the interest and potential and that’s where psychometric makes a different. Rightly said – parents have been the cause for failure in some children. The unnecessary force to perform well in something that the child is not interested in can be taxing. VirtuosokidZ looks promising. Will definitely check them out. You can contact on 7083962457. We will be happy to provide you more information. Yes – this is extremely useful to know your child better and get involved with your children meaningfully right from an early age. Parents are not required to keep wondering on the career options where their children can do better. The counselors/experts have in-depth experience to guide and provide suggestions on the overall personality of the child that includes skill, strengths, multiple intelligence, potential career areas. This seems like such a value add program. I am sure it has helped many of the children and therefore parents who have been a part of this. What age can this be administered to the children? I would love to recommend this to my other friends with older kids. Thanks for responding and showing interest. The mid brain program is for children in the age of 5-14 years. Psychometric can be done for anyone who is 7+ This can help the youngsters in colleges to get a fair idea on the careers they can pursue. If you can share your email id, we can provide more details. Thanks for sharing -very interesting and I will def look into this for my little one! Thanks for responding to this. We are happy you found it relevant and meaningful. You can contact on 7083962457 for more details. Psychometric is completely online process and can be taken from anyone on the globe. You hit the nail on the head. It is important to channelize their interests, skills, strengths in the correct direction. Psychometric supports in doing that. Important is the entire process is online and so anyone can access this around the globe. “This test works like a strength finder exercise for your child and helps determine how he can work on his strength for his advantage from his day to day activities to his career aspirations. This test also shows the style of the child how he or she would react based on the situation and how to enable them given their traits. Given the multiple options available today this helps chose the direction based on the liking and area of interest. Virtuosokids sound like a great program to help kids succeed in academics. Good to know about it. 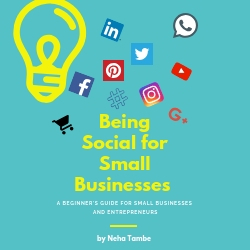 Thanks for sharing Neha. Thanks for showing interest in the programs of Virtuosokidz. The program works on the inner strengths and skills of the child. If a child is strong internally, there is almost 99.9% probability that the child will do great in the external world. Moreover the psychometric provides input on the potential career areas and that today is a great challenge for parents as well as kids as there are vast options available. It narrows down the areas as per skill, strength, personality and multiple intelligence of the individual. This sounds like a wonderful thing! Skill, aptitude and interest solely should be the deciding factors for a child’s future path! This sounds very interesting. My baby is still too little for this but I’ll keep this in mind.